"Your wonderful presentation was one of the highlights of the entire three day meeting. Your points on the hiring manager communications, the marketing approach, and sourcing all hit home with our team. 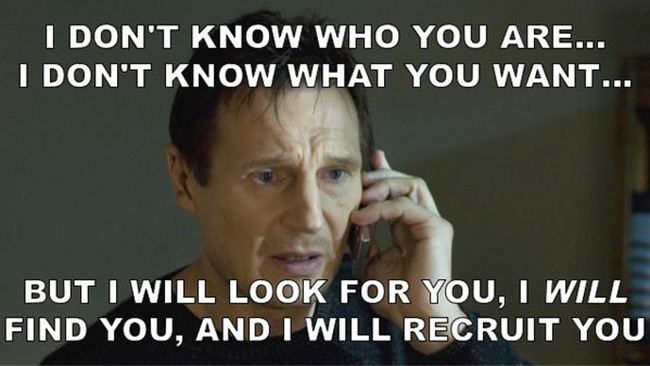 You are the ultimate recruitment professional!!!! I look forward to reading your book." Our workshops, including live events and our catalog of online courses, are fast and convenient ways to integrate Performance-based Hiring techniques into all phases of your company's recruiting process. And our Performance-based Hiring Training for Recruiters and Managers courses give you a full-year membership! With our catalog of training courses now available, you can get premier Adler Group training wherever you are around the world. The "live online" format offers all the benefits of in-person training from the convenience of your desktop. When organizations of any size need to remake their hiring and recruiting processes from the ground up, our on-site training programs are the way to make the transformation complete. We’re excited to bring you our self-paced Performance-based Hiring training for Recruiters and Hiring Managers program. 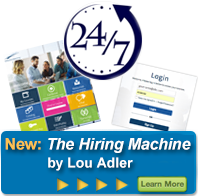 The Hiring Machinesm embeds Lou Adler’s entire Performance-based Hiring expert hiring process into an easy-to-use mobile-ready application. It’s designed from the ground up based on how the best people – whether active or passive – look for, compare and accept new career opportunities. In one seamless end-to-end process it covers job analysis, sourcing, recruiting, interviewing, assessment and closing. Those using it will quickly attract stronger talent, interview them more accurately and close more offers by offering stronger career opportunities rather than the biggest compensation. Coming to a city near you! We are taking Performance-based Hiring for Recruiters on the road. Different companies have different hiring and recruiting needs. For some companies, their needs are best served by a training program that is designed from the ground up. For medium and large enterprises, we select from our range of products and services to create a completely custom solution that clearly identifies what parts of your hiring process need work and how we're going to solve the problem.